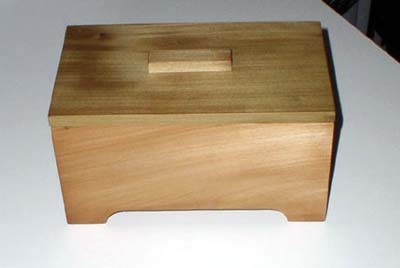 chazmonro - Box from reclaimed lumber - 1st one. Hey guys thanks for posting pics of your boxes. Today was my wifes birthday so I went into the shop and made her a keepsake box. 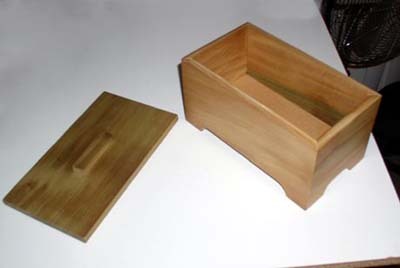 This is my first box, what do you think? I made it out of of some drawer sides that I salvaged from an old dresser I found in my gramps basement. I didn't have room for the dresser and it was coated in lead paint, so it got trashed, but I salvaged what I could. 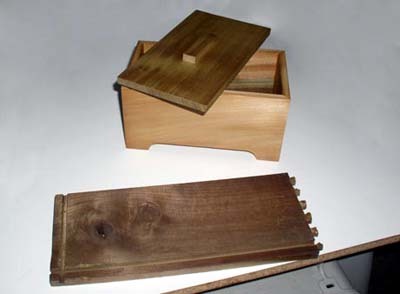 Anyway, the box is super simple, I think its popler wood or maybe pine, but the green in it tends to make me think poplar, am I right? I love the aged look, its got wipe on poly for the finish. This image has an original drawer side in it to show what I started with.